Israeli Prime Minister Benjamin Netanyahu with President Donald Trump in Tel Aviv on May 23, 2017. JERUSALEM (CNN) - Top Palestinian officials condemned US President Donald Trump's recognition of Jerusalem as Israel's capital, saying the decision would bolster extremists' calls for holy wars and delegitimize the United States as an arbiter in the peace process. "These procedures do also help in the extremist organizations to wage a religious war that would harm the entire region, which is going through critical moments and would lead us into wars that will never end, which we have warned about and always urged to fight against," Palestinian President Mahmoud Abbas said in a televised address following the US announcement. Trump's move means the US can no longer play a role in the peace process, said Palestine Liberation Organization Secretary-General Saeb Erekat. "President Trump just destroyed any possibility of a two-state (solution)," Erekat, who is also the Palestinian chief negotiator, said in a statement. "President Trump tonight made the biggest mistake of his life," Erekat told CNN's Christiane Amanpour. "Instead of encouraging the parties to sit together, the parties to put all core issues including Jerusalem on the table and negotiate in good faith, he dictates." Israeli officials have worked to demolish a two-state solution, he said. The Trump administration cast the landmark step as a "recognition of reality" that Jerusalem has long been the seat of the Israeli government. In announcing the move, Trump stressed that the decision would have no impact on the boundaries of future Israeli and Palestinian states as negotiated under a final status agreement. Palestinian factions called for three "days of rage" in protest, and the US State Department has issued a travel warning for the West Bank and Jerusalem's Old City. The UN Security Council will discuss the development on Friday. The Israeli government praised Trump's move, and Prime Minister Benjamin Netanyahu called on other nations to follow Trump's lead. "Jerusalem has been the capital of the Jewish people for 3,000 years," Netanyahu said. 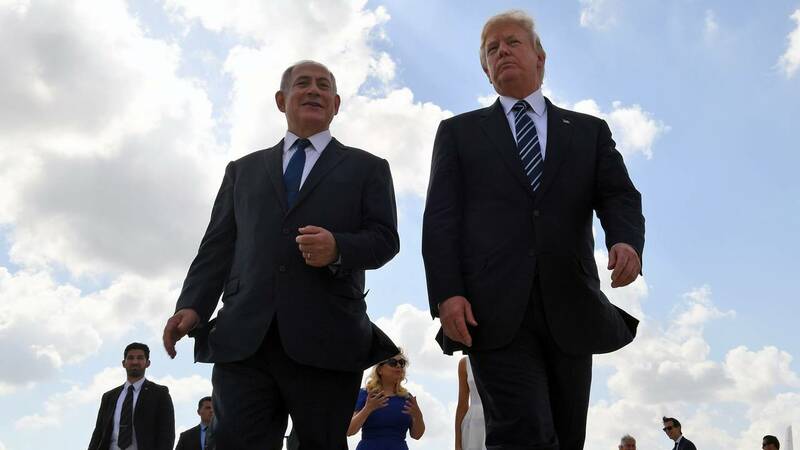 He praised Trump and called the move an "important step towards peace, for there is no peace that doesn't include Jerusalem as the capital of the State of Israel." Netanyahu vowed there would be no change with regard to the city's many holy sites. "Israel will always ensure freedom of worship for Jews, Christians and Muslims alike," he said. Israeli President Reuven Rivlin hailed Trump's recognition as a "beautiful gift." "Jerusalem is not, and never will be, an obstacle to peace for those who want peace," he said in a statement that quoted Psalm 122. "As it is written, 'Pray for the peace of Jerusalem, may all that love her prosper, may there be peace in her quarters and palaces.'" Jerusalem Mayor Nir Barkat told CNN that Trump's decision was "the right thing to do, and here in Jerusalem and Israel we applaud the President." Asked if he was worried that violence might result from the move, Barkat said: "The state of Israel would never be what it is today if we would be deterred by violence." The announcement moves Trump one step closer to fulfilling his campaign pledge to relocate the US Embassy to Jerusalem -- a move long sought by Israel, but set aside by previous US presidents due to regional security concerns and because the international community had agreed that Jerusalem's status would be resolved as part of a negotiated agreement between Israelis and Palestinians. "It means the death knell of any peace process," said Hanan Ashrawi, an executive committee member of the Palestine Liberation Organization. Both sides claim the holy city as their capital. No countries have embassies in Jerusalem. Ahead of his announcement, Trump spoke Tuesday to Abbas, King Abdullah, Egypt's Abdel Fattah el-Sisi and Saudi Arabia's King Salman. Those conversations prompted regional statements opposing the plan, warning it will undermine stability and scuttle any hopes of peace for the foreseeable future. The Saudi government issued a statement Thursday expressing its "great disappointment." "Saudi Arabia had previously warned of the serious consequences of such an irresponsible and unwarranted step," said a statement issued by the Saudi Royal Court. "The Kingdom expresses its denunciation and deep regret that the administration has taken this step, as it represents a great bias against the historic and permanent rights of the Palestinian people in Jerusalem." Iran's Supreme Leader, Ayatollah Ali Khamenei, posted on his official Twitter account that the US decision was made "out of despair and debility." "On issue of #Palestine their hands are tied and they can't achieve their goals," he tweeted. "Palestine will be free. Palestinian nation will achieve victory." Iran's Foreign Ministry strongly condemned the move, saying it will "enrage the Muslims and fan the flames of a new Intifiada, prompting violent acts for which the US and Zionist regime should stand accountable," according to a statement published by official news agency IRNA. The ministry called the move "provocative and unwise" and "a flagrant breach of international resolutions." While Trump and his Israeli allies have said the city is key to regional stability, detractors said the move promises not only to destabilize the region, but scuttle any hopes of an Israeli-Palestinian peace deal. Hamas, France and UN Secretary-General António Guterres joined the chorus of criticism targeting Trump following his Wednesday announcement that the US would soon move its embassy from Tel Aviv to Jerusalem. Guterres said Jerusalem's status should be resolved only via negotiations between Israel and Palestinians, he said. "In this moment of great anxiety, I want to make it clear: There is no alternative to the two-state solution. There is no Plan B," he said. "It is only by realizing the vision of two states living side-by-side in peace, security and mutual recognition, with Jerusalem as the capital of Israel and Palestine, and all final status issues resolved permanently through negotiations, that the legitimate aspirations of both peoples will be achieved." Speaking in Algiers, French President Emmanuel Macron called Trump's decision "regrettable" and said the new American policy "contravenes international law." In addition, the German government said it doesn't doesn't support Trump's decision, Chancellor Angela Merkel's spokesperson, Steffen Seibert, said on Twitter. Seibert wrote: "#Merkel on the decision by @POTUS Trump regarding Jerusalem: 'The Federal Government does not support this decision, because the status of Jerusalem is to be negotiated within the framework of a 2-state solution.'" Leaders across the Middle East came out against the Trump administration's announcement and urged the US to reconsider. Jordan called the US decision "a violation of international legitimacy." State Minister for Media Affairs and Government's Spokesperson, Mohammad al-Momani, said in a statement that Jordan rejects the decision, which he said fuels tension. Egypt rejects the US recognition of Jerusalem as the capital of Israel and any impact that may result from it, President el-Sisi said in a statement released by his office. "This decision overlooks the special position of Jerusalem for Arabs and Muslims"
Sami Abu Zuhri, a spokesman for Hamas, the governing authority in Gaza, decried the move, tweeting, "Trump's decision will not succeed in changing the reality of Jerusalem being Islamic Arab land. This decision is foolish and time will tell that the biggest losers are Trump and Netanyahu." Islamabad has expressed its "strong opposition and condemnation" Thursday at the US decision to recognize Jerusalem as the capital of Israel, according to a statement from Pakistan's Foreign Ministry. It urged the US to "revisit its decision as soon as possible in order to avoid the potentially grave repercussions in the region and beyond" and welcomed an announcement by Turkey to convene an Extraordinary Islamic Summit next week to discuss the issue. China expressed its concern about potential escalating violence in the region, calling on all parties to "act with caution." "China will consistently support and push forward the Middle East peace process and support the just cause of the Palestinian people to restore their legitimate national rights," said Geng Shuang, China's Foreign Ministry spokesman said a Wednesday briefing, before the official announcement. The leader of the world's most populous Muslim nation, Indonesian President Joko Widodo, strongly condemned the US decision and warned it could "destabilize global security." "I and the people of Indonesia, all remain consistent in standing with the Palestinian people, in their for their independence and rights, in accordance with the mandate of the Preamble of the 1945 Constitution," he said. India also reiterated its support for a Palestinian state, saying its position on the matter would not be swayed by the US move, while Australian Foreign Minister Julie Bishop said that country had no plans to relocate its embassy to Jerusalem. Even before Trump's announcement, the move spurred denunciations from regional and world figures. "There is no alternative to a two-state solution, and Jerusalem is key to any peace agreement," said Jordanian King Abdullah, speaking in Ankara alongside Turkish President Recep Tayyip Erdogan. Abdullah said he had "reemphasized our concerns" to Trump about recognizing Jerusalem as Israel's capital. "It is imperative to work fast to reach a final status solution and a peace agreement," he said. The Jordanian King added that any such agreement must allow for an independent Palestinian state and that "ignoring Palestinian Muslim and Christian rights" in the holy city "could fuel terrorism." Abdullah is the custodian of the Muslim holy sites in the Old City of Jerusalem. Erdogan warned that a wrong step taken in Jerusalem would cause a reaction across the Islamic world that could destroy the foundations for peace. Regarding Trump, Erdogan said, "No one person's personal ambitions should be allowed to alter the fates of billions of people. Any such move would only embolden terrorist organizations." Kremlin spokesman Dmitry Peskov told reporters during a regularly scheduled call that President Vladimir Putin had spoken to Abbas on Tuesday and expressed "serious concern for possible deterioration of the situation." Peskov said that the situation in Jerusalem was "not easy." British Prime Minister Theresa May said the UK position on Jerusalem continued to be that "the status of Jerusalem should be determined in a negotiated settlement between Israel and the Palestinians." The city "ultimately should form a shared capital" between a secure Israel and a viable Palestinian state, she said. Pope Francis called for wisdom and prudence to prevail with regards to Jerusalem, to prevent further tensions in a conflict-torn world. "I cannot remain silent about my deep concern for the situation that has developed in recent days and at the same time, I wish to make a heartfelt appeal to ensure that everyone is committed to respecting the status quo of the city, in accordance with the relevant resolutions of the United Nations," he said. "Jerusalem is a unique city, sacred to Jews, Christians and Muslims, where the holy places for the respective religions are venerated and it has a special vocation to peace."